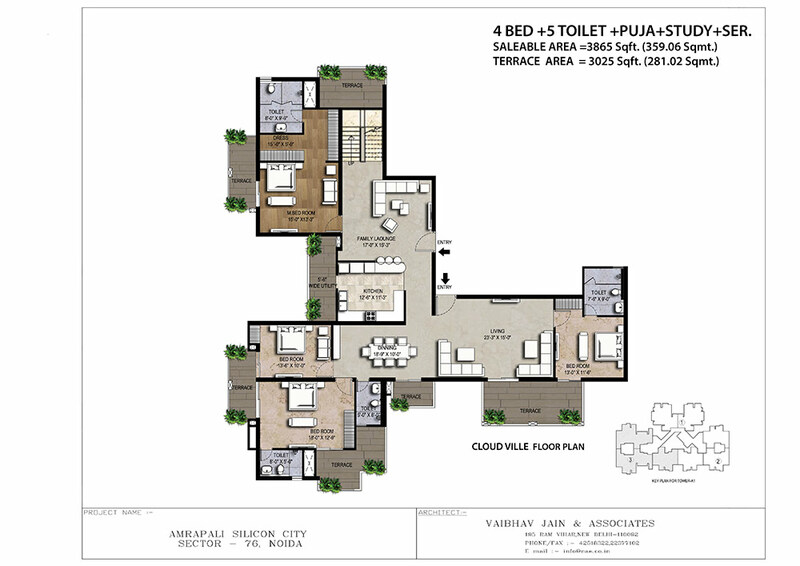 Project Address Sector76, Noida, Uttar Pradesh, INDIA. 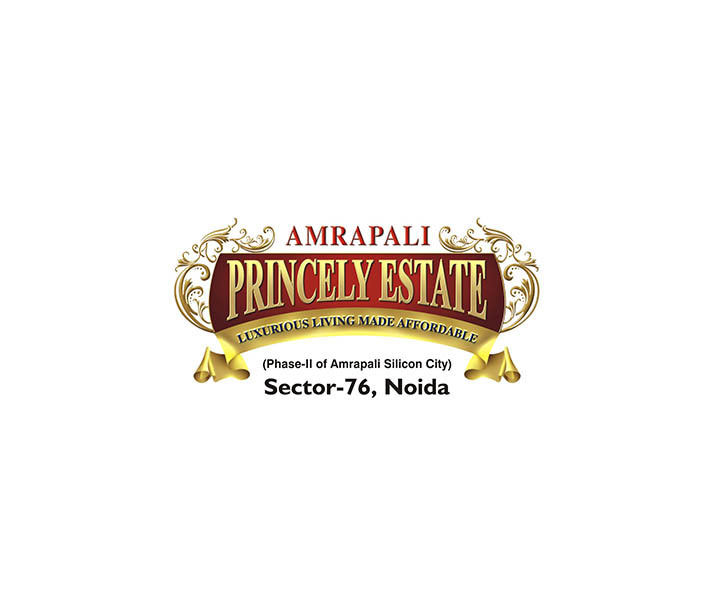 Amrapali Group has proposed another bustling housing project for home seekers in sector-76, Noida. 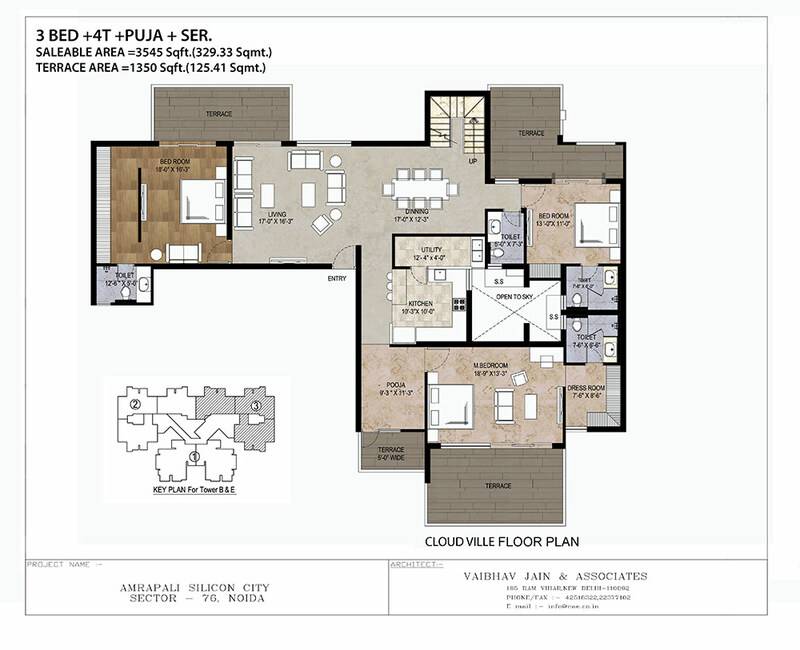 The project name is Amrapali Cloud Ville that offers three side open apartments at reasonable prices. 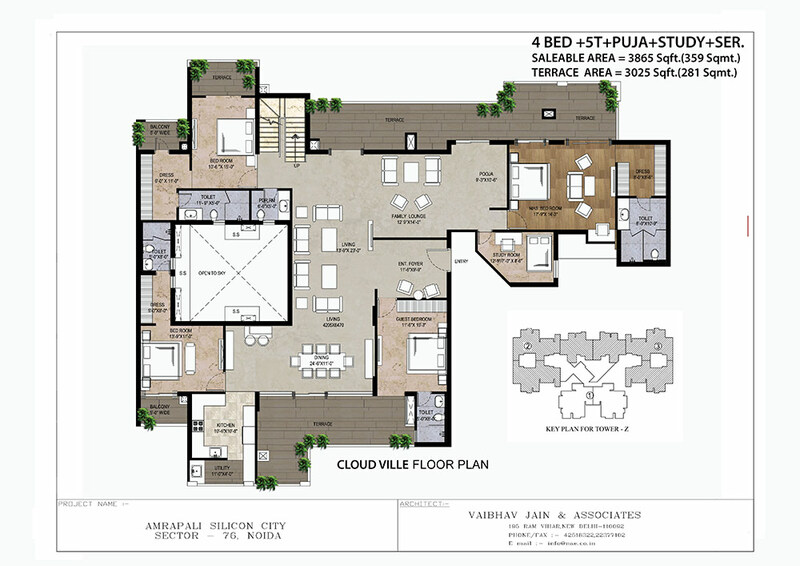 The construction work is near to completion and apartments have got ultimate finish from inside to outside. 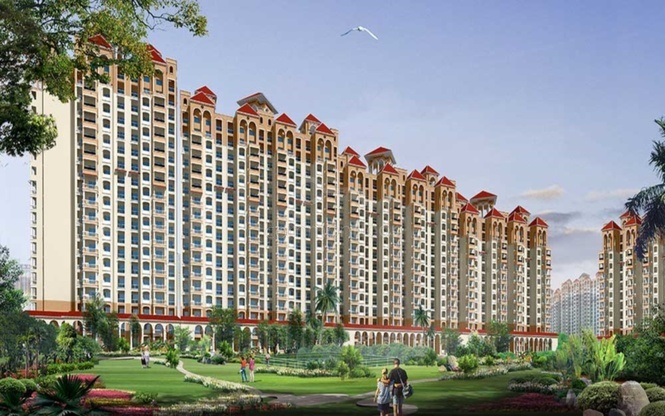 Being a ready to move housing plan, customers have a good chance to buy own houses in Noida under the budget. 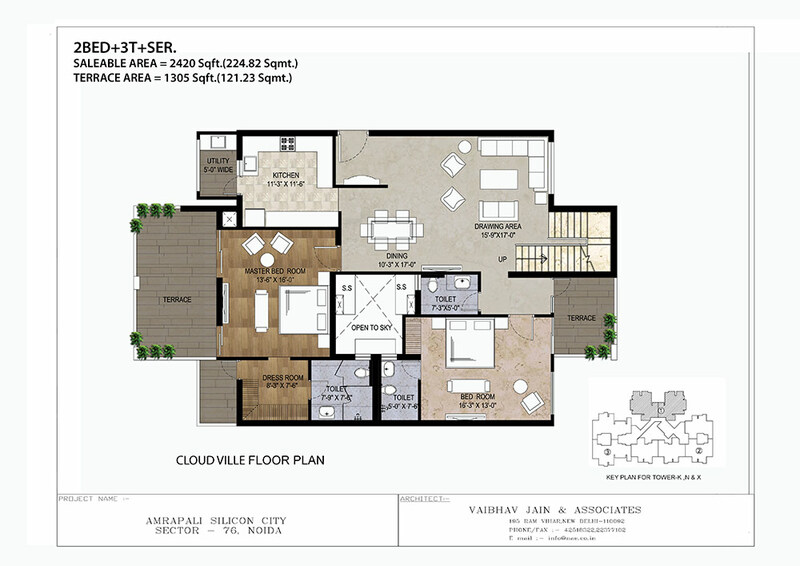 The project has multiple floors and each floor includes spacious apartments consisting ample of housing facilities like stunning kitchen, bathroom, party lawn, balcony, hall, etc. 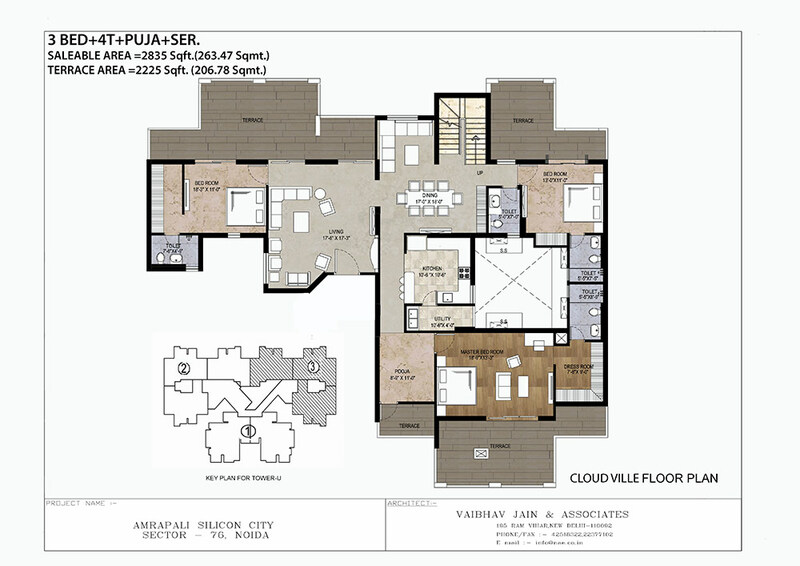 Besides, every apartment possesses magnificent design and elegant interior as well. 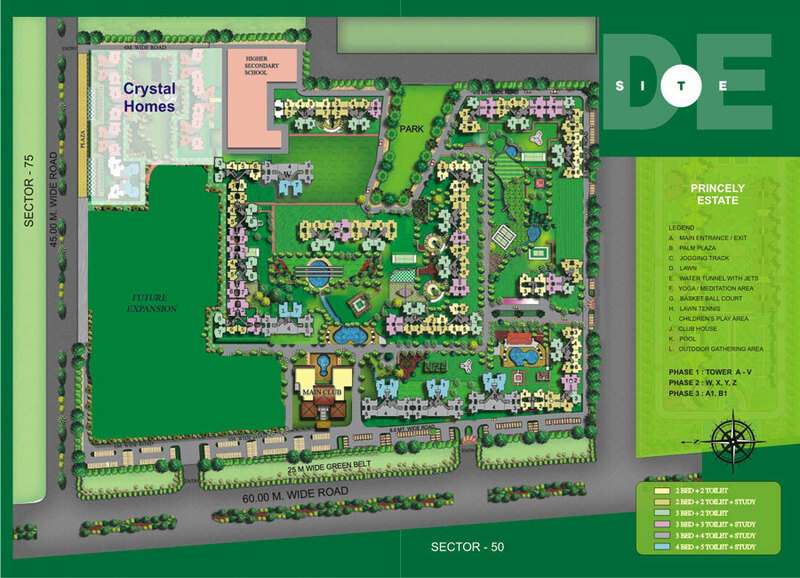 Apart from that, the project site is close to nature and is full of greenery as well. 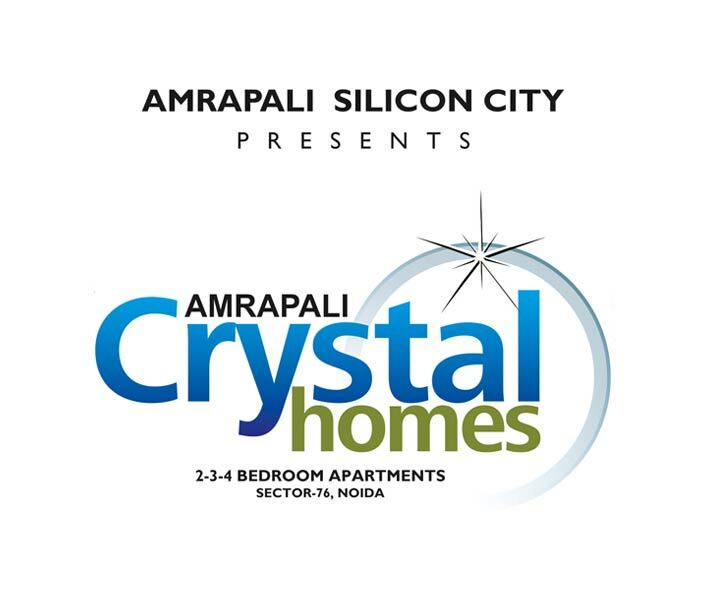 Amrapali Cloud Ville brings you ultimate amenities such as swimming pool, gym, parking, club house, tennis court, kids’ play ground, splash pool, water supply, and so on. 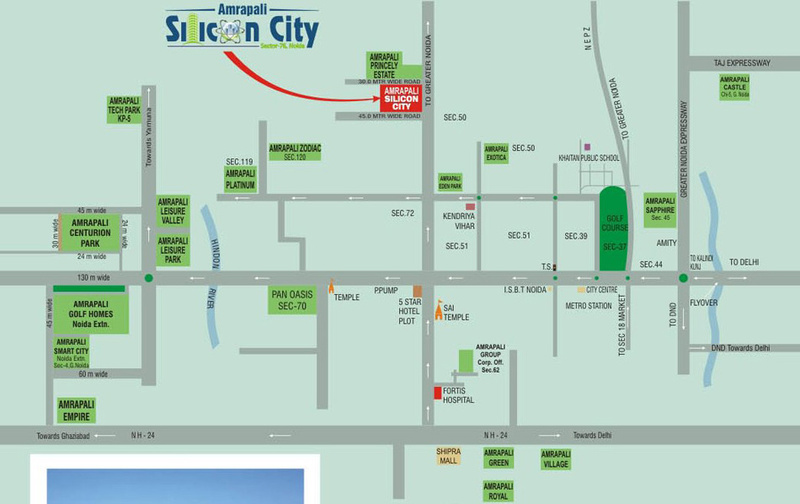 Moreover, the project site gives proximity with NH-24 and is close to hospital, shopping mall, railway station, bus stand, etc. Most probably, the project gives easy access to metro project that is going to be completed soon. 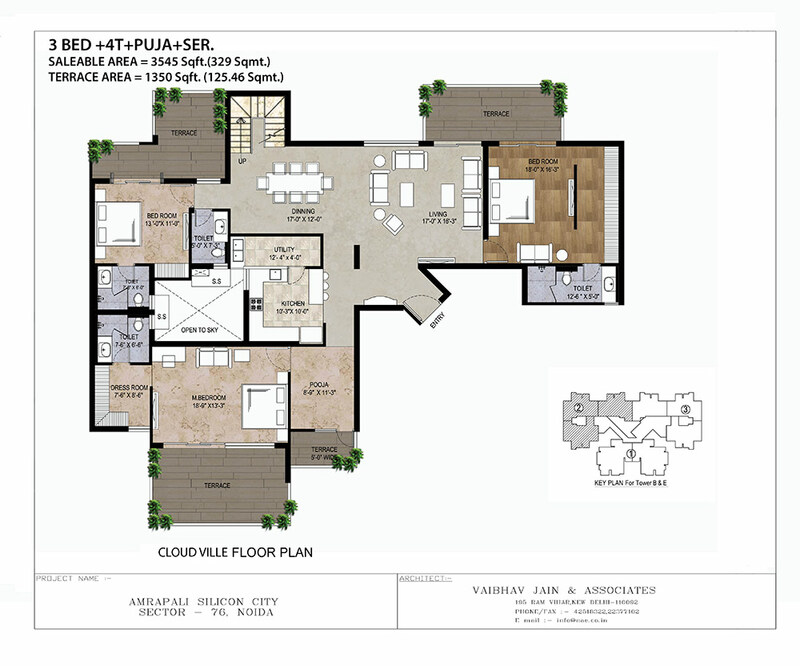 However, the home buyers will be delighted to book units in the project and make a wise investment in property for future. 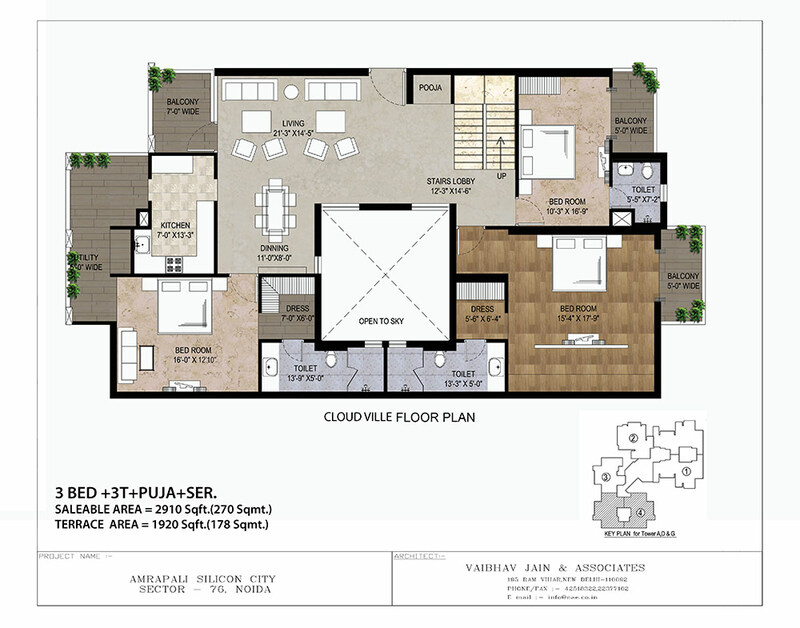 Sector 76 Noida 3545 Sq.ft. 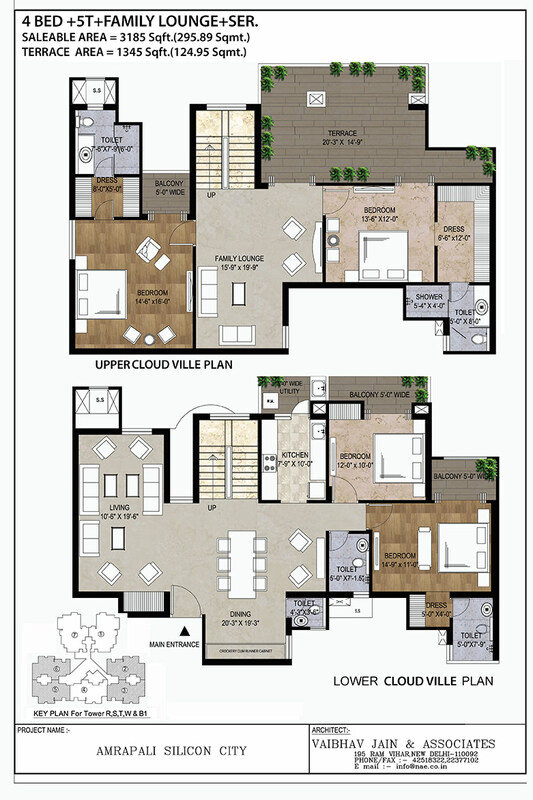 Sector 76 Noida 3080 Sq.ft. 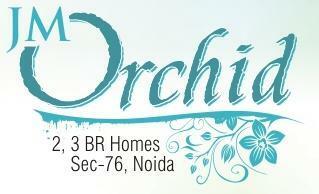 Sector 76 Noida 3965 Sq.ft. 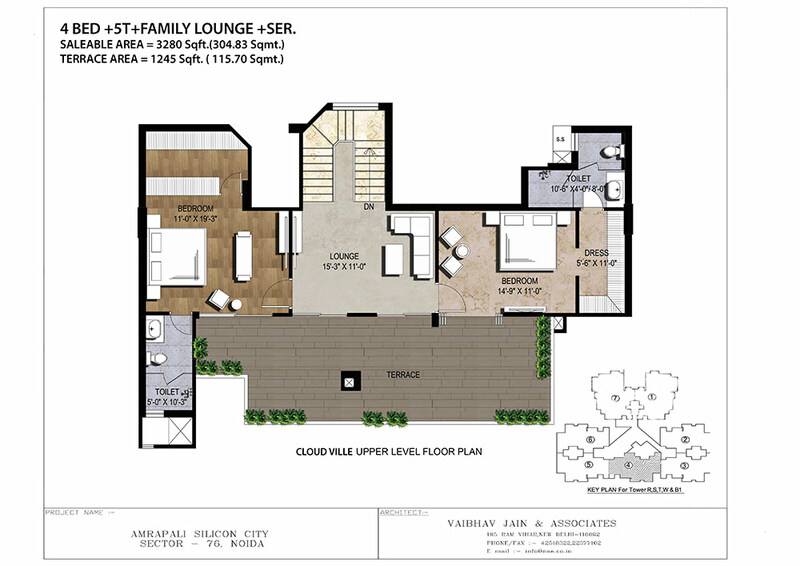 Sector 76 Noida 3865 Sq.ft. 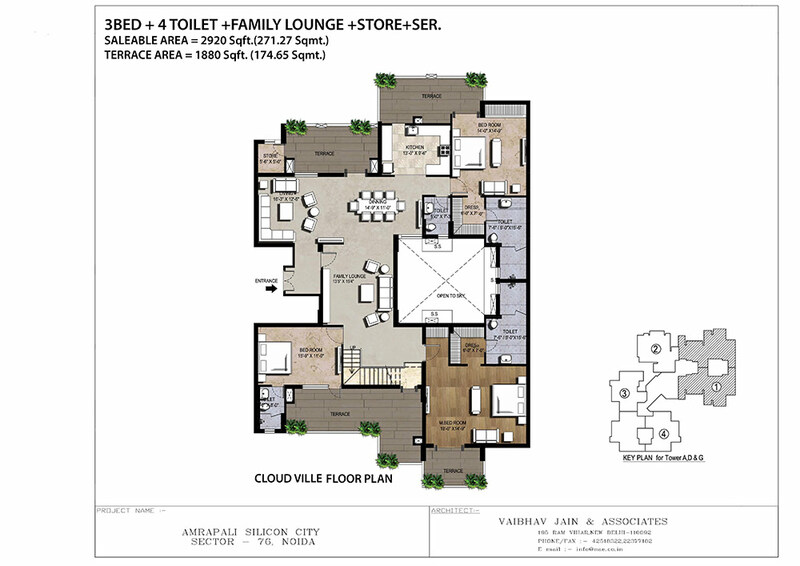 Sector 76 Noida 2935 Sq.ft. 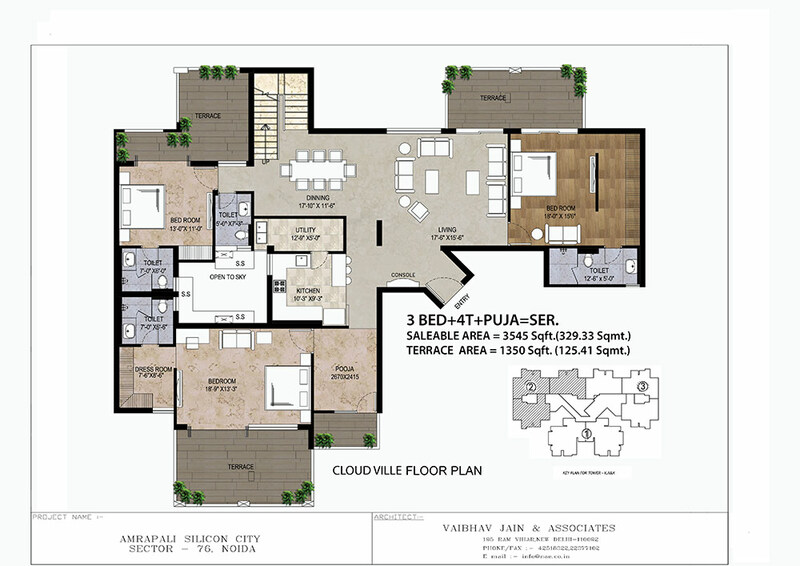 Sector 76 Noida 2835 Sq.ft. 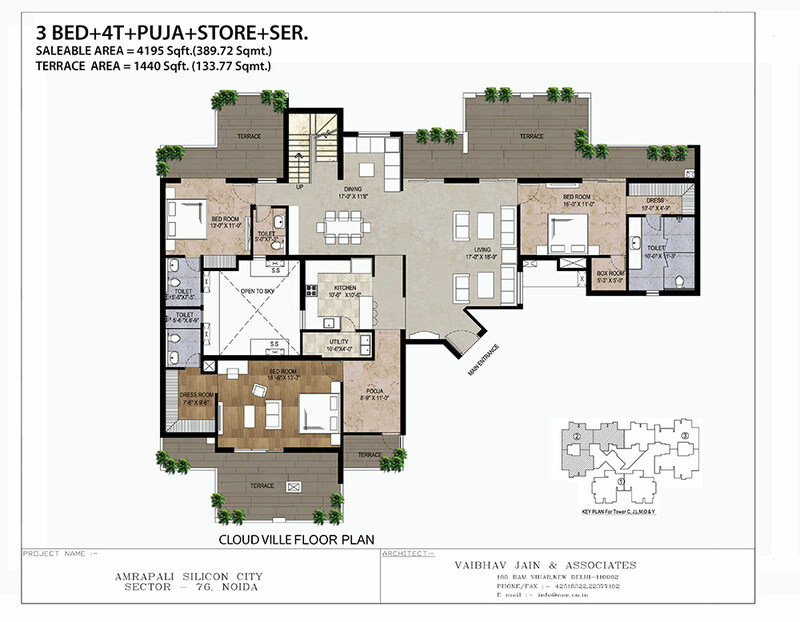 Sector 76 Noida 4490 Sq.ft. 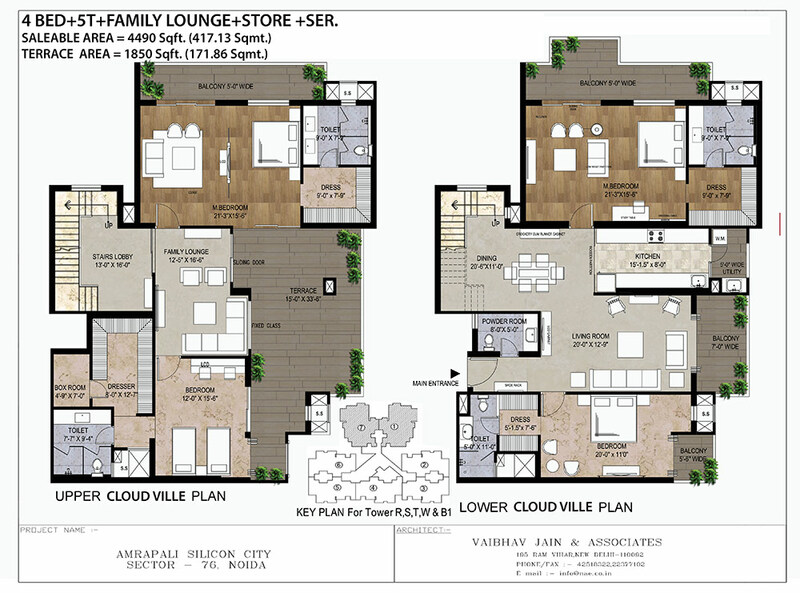 Sector 76 Noida 3185 Sq.ft. 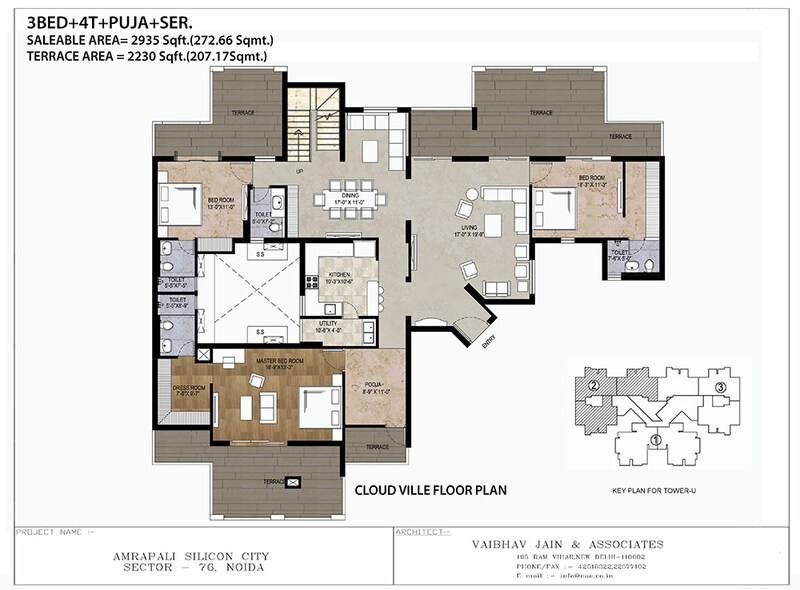 Sector 76 Noida 3280 Sq.ft. Sector 76 Noida 4115 Sq.ft. 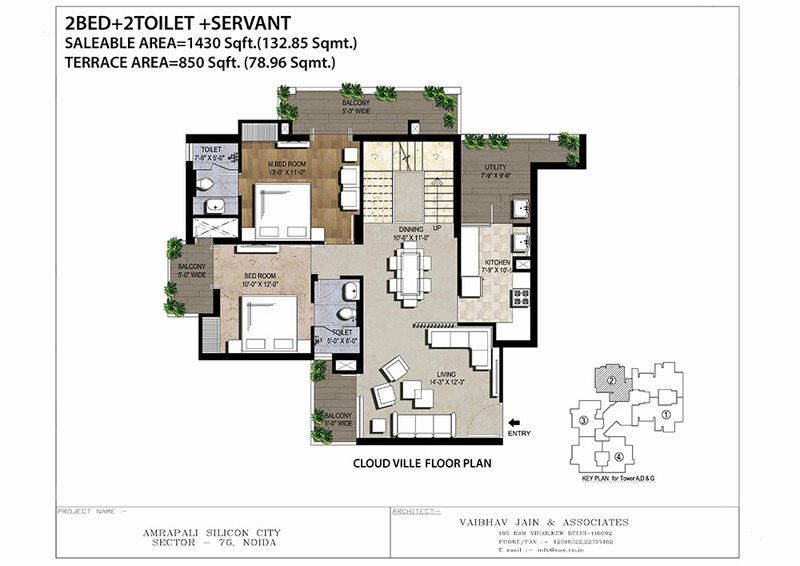 Sector 76 Noida 2420 Sq.ft. 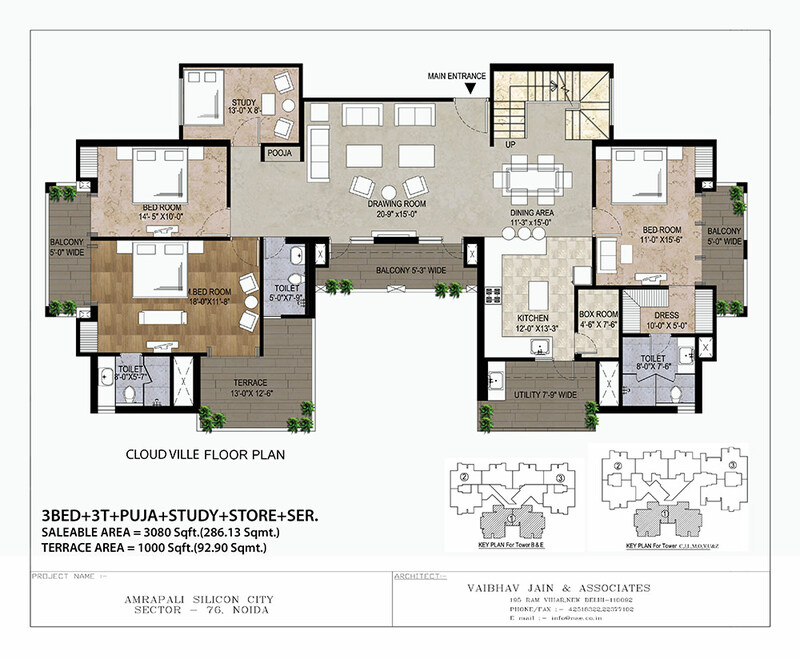 Sector 76 Noida 4195 Sq.ft. 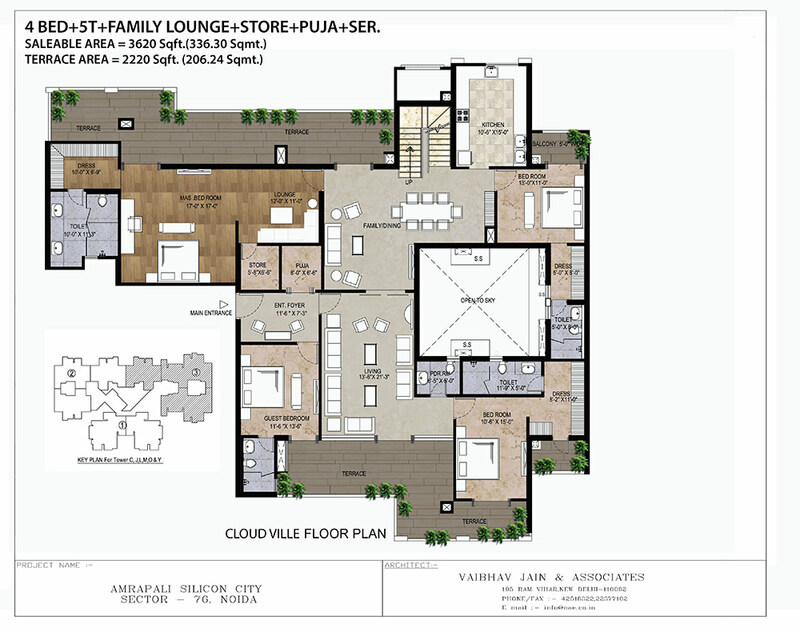 Sector 76 Noida 3620 Sq.ft. 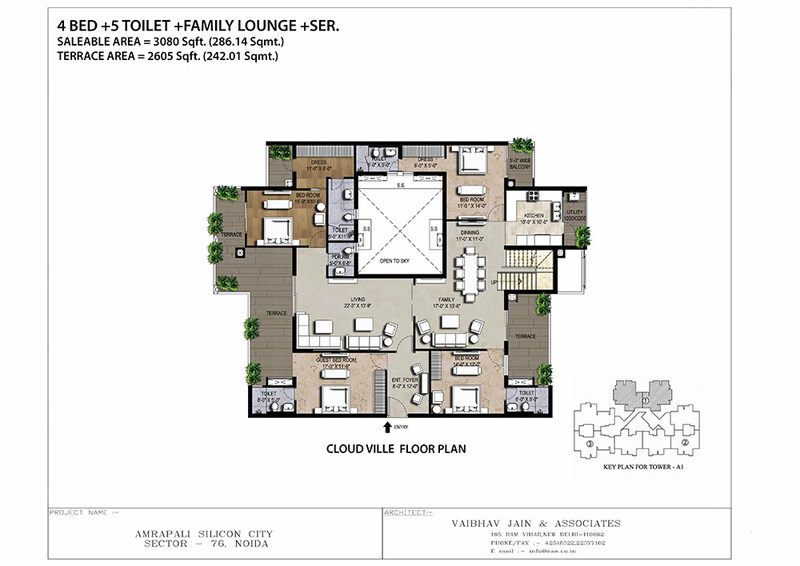 Sector 76 Noida 2910 Sq.ft. 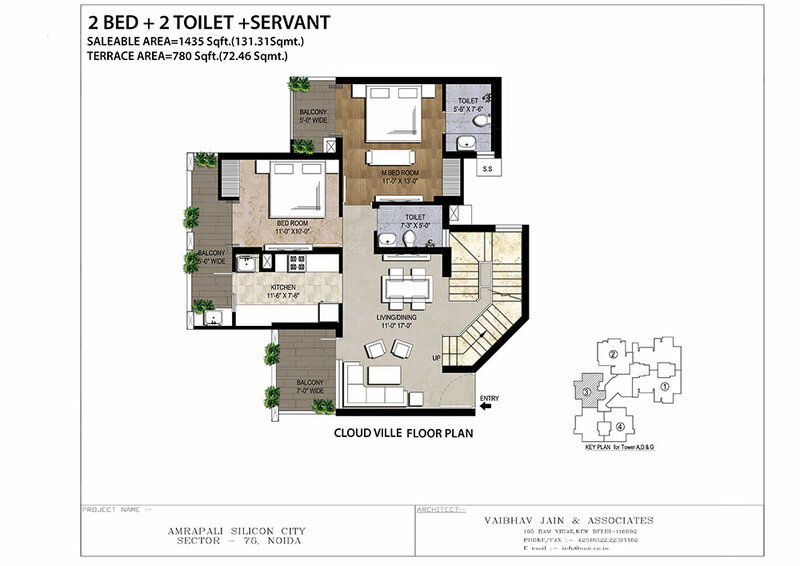 Sector 76 Noida 2920 Sq.ft. 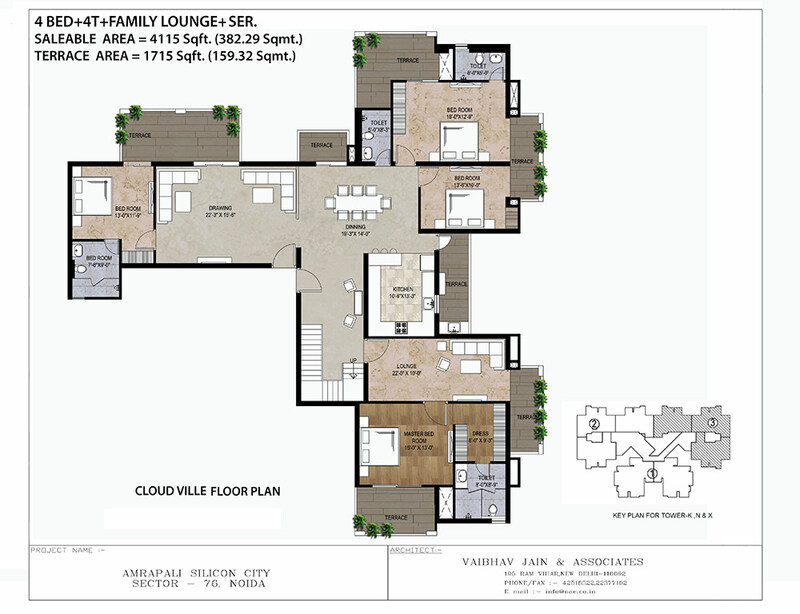 Sector 76 Noida 1430 Sq.ft. 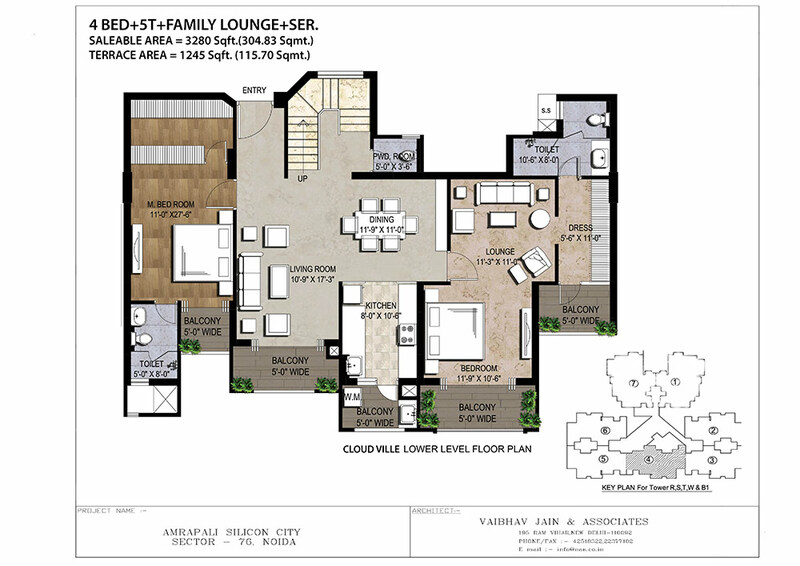 Sector 76 Noida 1435 Sq.ft.